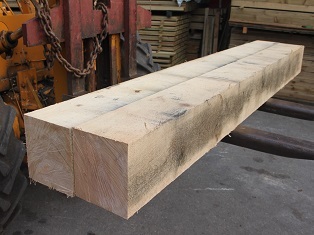 Oak Fence Posts - 4" x 4" or 6"x 6". Cut to order. Please contact us for a price.